With the toppling of the Berlin wall and the dismantling of the former Soviet Union and historic socialism, the latest fashion in the economic world and academia is to talk about neoliberalism and free markets. Contrary to the understanding of this model during the nineteen century when it was conceived in Europe, todays neoliberalism and its policy of free markets is not intended to reproduce that old system. On the contrary, neoliberalism blends with the so-called new world economic order. The capitalist world, mainly rich and industrialized countries from the North are optimistic and they talk about democratization, transition, and growing opportunities, mainly in Latin America. Countries from the region such as Chile, Costa Rica, and Mexico, are portrayed as examples for the entire region which have successfully combined economic liberalism with political democracy. Consequently, the Third World is invited to follow these examples to reach almost instant modernity and to get rid of their chronic underdevelopment. 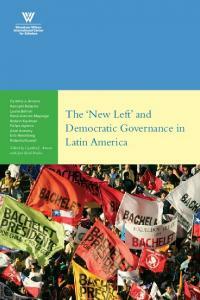 This essay was originally published in Spanish in the book Alternativas de izquierda al neoliberalismo. Madrid: FIM-CEA, 1996. Also, it was published by Revista de Sociologia, Facultad de Ciencias Sociales, de la Universidad de Chile, # 11-12, 1997-1998.
structure an international elite has emerged which controls economic, financial, military and cultural powers, as well as communications. This international order is maintained at a world level through the expenditure of $900 billion in arms (Richard: 1993: 34). Since the Red or Communist threat is gone with the wind, and in order to lend legitimacy to this situation, there is an attempt underway to ideologize the North-South confrontation, presenting the South as the new enemy of the North. In this vision, the existence of evil drug producers and traffickers, political instability, terrorism, regional conflicts which produce illegal immigration to the North and deep environmental damage, are all products of the South which jeopardize the existence of the North. While this is a long-standing confrontation, it is entering a new stage with qualitatively different elements. Any and all violations of international law are justified, as are violations of the right of different people to self-determination. This whole system of North-South confrontation is justified ideologically by economic neoliberalism and religious neo-conservatism thus reproducing a new neocolonial model in the Third World. Wealth, Population and Poverty Centralization and concentration of capital is possible because rich and industrialized nations from the North have accumulated advanced technology, which allows them to depend less and less on intensive use of natural resources and labor. Since the Third World has traditionally been a producer of raw materials and an attractive market for cheap labor, the gap between North and South has then increased immensely during this period. Over the last 20 years, for example, the Japanese have been able to reduce the amount of raw materials used per unit of output by 33% (Gorostiaga: 1993: ). As a result, real prices have fallen for thirty principal raw materials used per unit of output, the majority of which are products exported by the South. needless. This also means that the Souths surplus population is completely powerless. This dispensable army cannot go on strike, they have no negotiating power, and their threats are meaningless. The First World needs Third World countries, but not their population. This phenomenon coincides with the transnationalization of systems of production, financing and marketing, which for the first time permits the creation of a global market. In 1990, the UNDP estimated that there were 1.2 billion people living below the poverty line in the Third World. For instance, Latin Americas share of world exports fell from 12.4% in 1950 to 5.5% in 1980 and only 3.9% in 1990 (Glyn & Sutcliffe: 1992: 90). Foreign investment stocks dropped from 12.3% in 1980 to 5.8% in 1989. As a result, the number of people living in poverty in Latin America, has increased from 112 million to 184 millions people in only one decade, that is, 44% of the regions total population. (Gorostiaga: 1993: 23). Asia participation in the world market was 13.1% in 1950, rose to 17.8% in 1980 and fell back again to 14% in 1990. The case of Africa is amazing. In 1950 it was 5.2%, in 1980 fell back to 4,7% and in 1990 only 1.9% (Glyn & Sutcliffe: 1993: 91). The effect of this situation on the population is disastrous and will increase the existing gap between the North and the South. WORLD CHANGES AT THE END OF THE CENTURY Nearing end of the 20th century, several international events have taken place, which have drastically influenced the new world order. These changes will have a tremendous impact on the socio-political and economic structures of the Third World, its population and environment. The most relevant transformations are: disintegration of the East bloc, the European alliance, the Pacific Bloc and the decline of the US economy. Disintegration of the Socialist Bloc This world event has had dramatic repercussions worldwide opening up a new historic era in world relationships. In Latin America, there always existed a great deal of doubt regarding the socialist connotations of these nations, understood as an alternative to the economic and political system of capitalism. Many intellectuals and even politicians from the region insisted that Eastern European nations never developed socialism. In fact, it was argued that those nations achieved socialist statuses by decree, not through revolutions. After W.W. II Eastern bloc nations formed a defensive military alliance. In this way, dogmatism, top-down organizing models copied from the East block affected all the Communist parties and the majority of Latin America and the Third World left. Nevertheless, the collapse of the East bloc and the former Soviet Union has large implications for the Third World and mainly for countries challenging the power from the North. For one thing, it deprives many of these nations from receiving military, economic and technical support and aid from the East. Good examples of this situation were Cuba, Angola, Mozambique, Vietnam and Nicaragua (until before 1989), among others. Also, the Soviet presence in the world played some role in limiting and opposing US imperialist purposes in the Third World. Although this was more apparent than real, the Soviet Union was a constant challenge to the interventionist policies of the US. With all its limitations, the socialist bloc served as a counter balance of sorts that permitted a geopolitical balance and a kind of support for changes in the South. The collapse of the Eastern block means the loss of that economic and political counter balance, but it leaves the doors open for new ideological and political models for the region according to their culture, values and needs. The European Alliance The end of the century brings a new European unity, which evolved in less than half a century. These changes are ideological, political and economic. This alliance embraces former irreconcilable enemies such as Germany, Spain, and Italy on the one hand and the rest of Europe on the other. Whatever the problems were, the European community is moving into a political union. The basis for a supra-national federal European state, which will take responsibility from national states for a large number of activities including aspects of key political issues, foreign policy and defense, is being laid down. The twelve nations involved in this alliance visualize the European market, made up of several hundred million consumers, a strategic place to withstand the international challenge of the US and Japan. A united Europe could become the productive, commercial and financial center of the world, together with Japan. This is starting to create some problems for the US hegemony of the world and could lead to a new world of spheres of influence. This is a challenge that Clintons new Democratic Administration will have to face to avoid further troublesome consequences for the economy of the US. Potentially, this situation could open the possibility to Latin America and other countries from the South to take advantage of the US declining economic power for their own benefit through free trade agreements and other commercial treaties. Emergence of the Pacific Basin Bloc There is no doubt that by the end of the century the Southeast Asian and Pacific Rim region has emerged around the economic power of Japan. To a lesser extent, the socalled Newly Industrialized Countries of East Asia including the Association of South East Asian Nations (ASEAN) has also emerged. of the US regarding Latin America and other regions from the Third World. In this way, the gap between North and South increases. The Decline of the US Economic Power While President Bush was proclaiming the new world order, the economy of his country was being affected by a severe recession. The main problem is that the US has been unable to overcome its fiscal and commercial deficits while, at the same time, it is trapped by an enormous military budget. The trade deficit has had a tremendous impact and the country has become a large net debtor. The Financial Times of July 10, 1991, reported that the debt had reached $300 billion by the end of 1989. The US dollar that traditionally was used as the international reserve currency has lost its preferential status. Its share in official reserves of foreign exchange fell from 78.4% at the beginning of 1973 to 56.4% at the end of 1990. During the same period, on the other hand, the share of the Dutch marks rose from 5.5 to 19.7% while the share of the Japanese Yen climbed from zero to 9.1% (Glyn & Sutcliffe: 1992: 91). Moreover, the US has lost technological competitiveness and productivity, which will weaken its ability to maintain its political hegemony around the world, unless it continues using its military and ideological power. The US requires a military budget of $300 billion annually and controls over 2/3 of all media around the world. In light of the economic crisis, however, the Clinton Administration is being forced to reconsider global political and military dominance leading the US to gradually abandon much of its neoimperial role. The same can be observed in economic institutions where the US has gained economic hegemony such as the International Monetary Fund, the World Bank, GATT, and the Organization for Economic Cooperation and Development. This is not a voluntary decision and the US is still trying to maintain its dominant position currently challenged by its European and Japanese allies...and competitors. The system of exploitation imposed on the Third World is now taking place on a hemispheric-wide basis, affecting US society as well as the rest of the Americas and the south. There is no longer one pattern of investment and exploitation for Latin America and another for the US. The search for cheap labor, raw materials and markets has surpassed international boundaries. Industries are being moved southward causing massive lay off, social services are being eliminated by the federal and state governments and poverty is increasing nationwide. The wealth of the country as in the Third World, is concentrating more and more in the hands of a small, rich and opulent sector of the population, while the majority of the nation faces poverty. In the last 15 years, the income of the top 5% of the US population has increased 50%, while that of the lower 60% of the population has dropped significantly. Currently, one of five children lives in poverty (Burbach: 1992: 240). People holding up signs Will Work for Food are becoming more frequent in shopping center parking lots across the US. There is no doubt that the new world economic order is affecting the economy of the US. A new step in history has started, but not only because of the collapse of historic socialism and the Soviet Union, but also because of the change in world capitalism. So far, the outlook does not look good for the South, nor for a large segment of the population of the US. THE NEOLIBERAL MODEL Current neoliberalism promotes, above all, total freedom of movement of capital, goods and services. It advocates the opening of nations economies and competition in the world market in conditions of absolute freedom. In contrast, labor is the only commodity, which is not considered free in the market, and there is a constant pressure on the part of the state and the market to reduce its cost. This pressure can include legal measures, to the repression of strikes and the co-optation of union and union leaders. people of these countries leads to many channels and forms of discontent and mobilization and creates the possibility for new strategies of dissent. As a result, the credibility of the political structure is questioned. Discrepancies emerge between the rhetoric of legitimization of the local regimes and the implementation of the local elites programs. Confronted with challenges to the political myth of neoliberalism in the region and faced with a growing popular opposition from below, the ruling sectors respond with repression. However, the more the state depends upon the use of force, the weaker its becomes. In order to maintain a socioeconomic stability it is necessary to impose political instability. This situation de-legitimizes the so-called democratic governments elected after the military returned to their barracks. It also demonstrates that political and socioeconomic democratization cannot be reconciled with the existing modes of dependent development expressed through the structural adjustment policies in Latin America and the Caribbean. This situation forces regional governments to confront several contradictions regarding the neoliberal bonanza and its effect on the countries in the region. First, it challenges the notion that profound social conflicts can be arbitrated and overcome by the formal mechanisms of liberal, electoral democracies in dependent and underdeveloped societies. Second, the idea that the state is a neutral mechanism in society through which conflictive demands and situations can be arbitrated loses credibility among the classes that make up those societies. Third, the belief that changes in the socioeconomic structure of the current Latin American societies can be achieved without altering the role of the state has also been questioned. Finally, the neoliberal model implanted in Latin America and the Caribbean challenges the existence of a national state in charge of the common wealth of the country. On the contrary, they operate like mechanisms functioning to maintain the dependent and underdeveloped nature of the society. that a significant portion of the Chilean work force has not a decent job to survive. The reference about these informal enterprises not paying taxes is loudricuos. It seems like the neoliberal model applied by the Chilean government and applauded by the NYT is promoting a tax on poverty. All those who have found a way to survive below the poverty line should, in addition to their miserable living conditions, pay a especial tax for surviving. Gilbert, Jorge. The Aftermath of the Military State in Latin America. (TESC, Olympia, 1991). These figures were provided by PPDs (Party for Democracy) Congressman Juan Pablo Letelier, a left-leaning member of Concertaci¢n (the government coalition) in a speech delivered on October 12, 1990s. Lederma, Michael (1990). Salinas Plans Major Sell-Off, Washington Report on the Hemisphere, November 14, 1990. According to this concept, market forces alone will guarantee solid basis and equitable socioeconomic and environmental development. In fact, this concept of green market reflects the pernicious influence of neoliberalism on discussions on development and the environment. This tendency, then, favors those economic enterprises seeking to legitimize the use and commercialization of the environment. BIBLIOGRAPHY Burbach, Roger. Ruptured Frontiers: The Transformation of the US-Latin American System in The Socialist Register 1992, edited by Miliband, Ralph & Panitch, Leo. (The Merlin Press, 1992) Castro, Fidel. Tomorrow Will Be Too Late. (Ocean Press, 1993) Chalmers, Douglas Developing in the Periphery: External Factors in Latin American Politics, in Tom Burns and Walter Buckley (Eds. ), Power and Social Control: Social Structures and their Transformation, (Beverly Hills: Sage, 1976). Gorostiaga, Xavier. Anuario del Centro Regional de Investigaciones Económicas y Sociales (CRIES). (UniversidadCentroamerica: Managua 1993). Itoh, Makoto. Japan in the New World in The Socialist Register 1992, edited by Miliband, Ralph & Panitch, Leo. (The Merlin Press, 1992). Glyn, Andrew & Sutcliffe Bob. Global but Leaderless: The New Capitalist Order in The Socialist Register 1992, edited by Miliband, Ralph & Panitch, Leo. (The Merlin Press, 1992). Latin America Press , Volume 25, # 12, April 8, 1993. Report "THE NEW WORLD ORDER AND LATIN AMERICA"